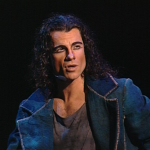 Like Esmeralda, Frollo’s personality really come done to which Notre Dame de Paris cast you’re watching. Some play him big and expressive while others are restrained. However no matter which cast you are watch, Frollo in Notre Dame de Paris is the closest depiction to the novel that we will ever get. 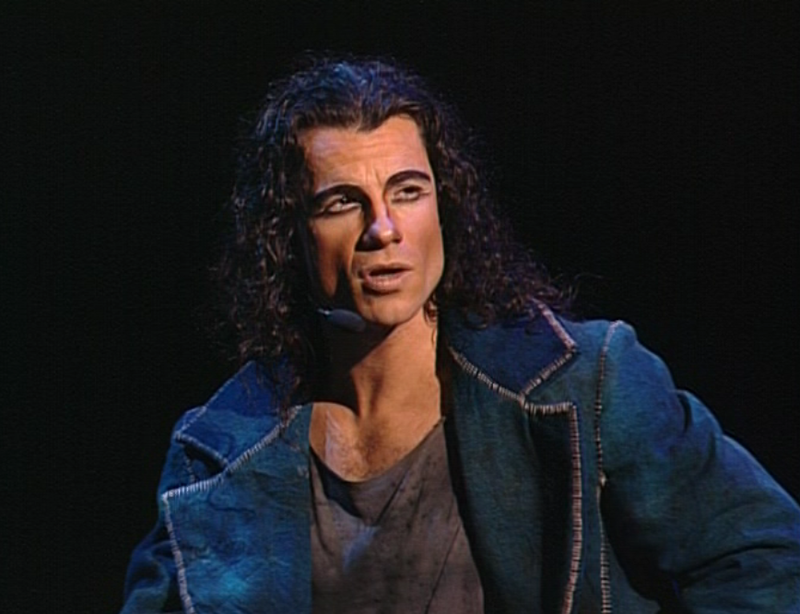 Frollo was originally played by French-Canadian singer Daniel Lavoie. 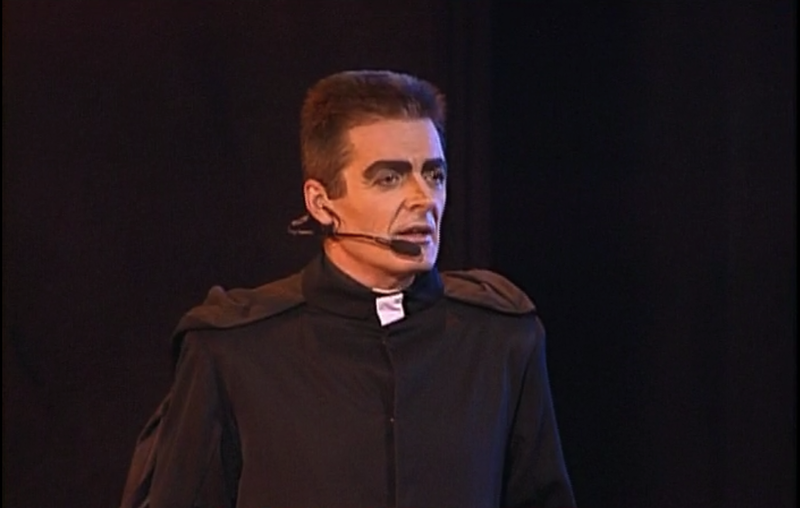 Lavoie plays a more restrain Frollo. Every movement Lavoie gives is tense. You get the feeling that he trying within himself to contain himself and is losing. 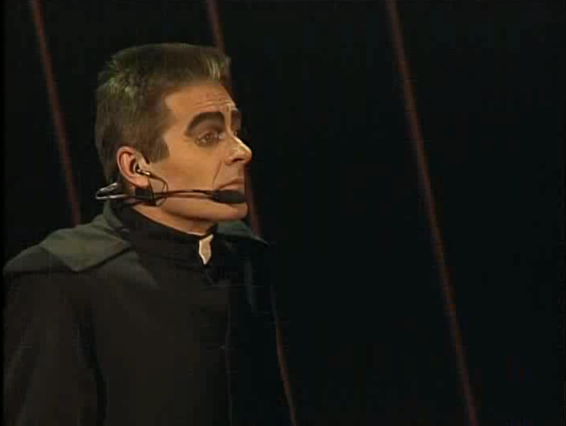 But what makes him the best depiction of Frollo. For one thing he is a priest though more than a few get that. Second he like science. Although it really just mentioned in a passing song but it counts. So far only THREE other Frollos even hinted at interested and and two where in dorky kid’s versions. 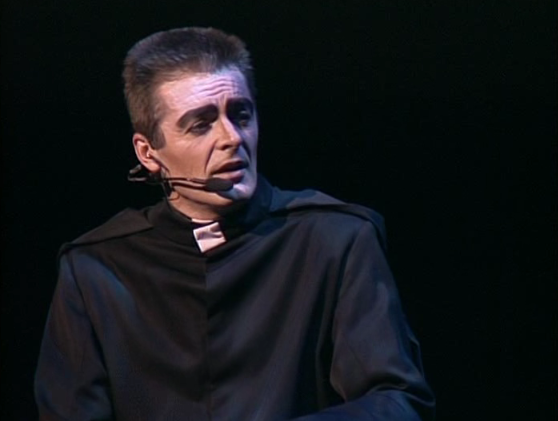 No, what what really makes this Frollo stand out as great is that you can get sympathy for him. You understand that he wants Esmeralda and does horrible things but there is pathos to him which is very in keeping with the book. 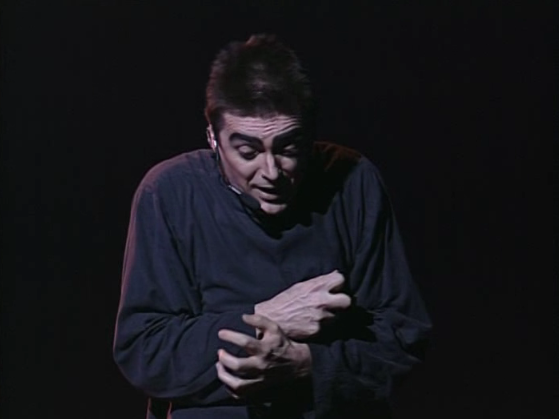 The sympathy that Lavoie’s Frollo portrayals gives the character a lot of complexity. I get the sense that his lust comes more from a place of love than most Frollos but his profession tortures him. However Lavoie may have too much pathos and restrain. Don’t get me wrong, I really like version but that deafening madness of lust doesn’t truly over take him as it does in the book. The most Lavoie does is a mad laugh at the end. Like I said you feel his inner craziness cause by his lust but it remains too inward, we need outward drama especially at the end. 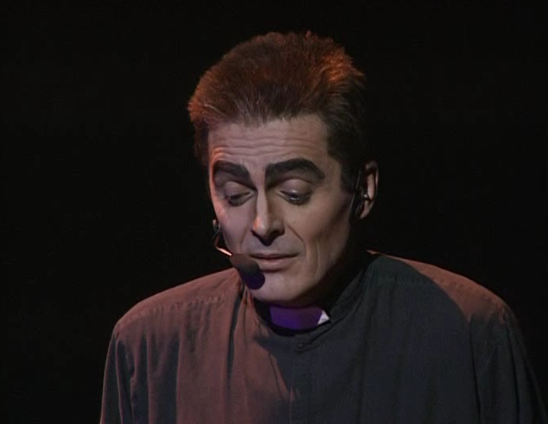 That being said I would take a Frollo that has his lust drives him to pathos over a Frollo that is just evil or elicits zero sympathy.